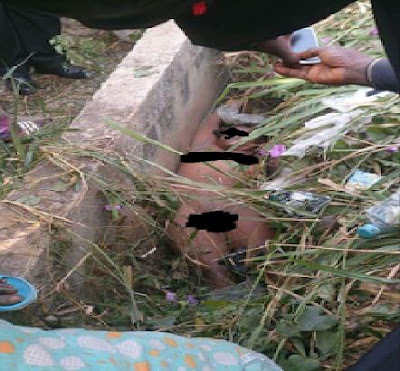 A body of a teenage girl was discovered dumped in a drainage system by some pedestrians. The graphic photos have been making rounds on social media for the better part of the day and have left many shocked. 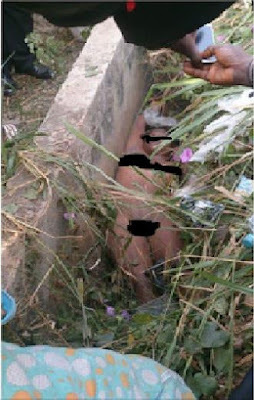 According to the person who uploaded these photos, the deceased was raped before being murdered. He further explains that the lady was a new prostitute who had won the hearts of most clients. Its suspected the other whores might have liaised with a gang who took her life to remove the obstacle that was ruining their job. Details of where the incident took place were not provided but updates will be made as soon as we get more information regarding the matter.